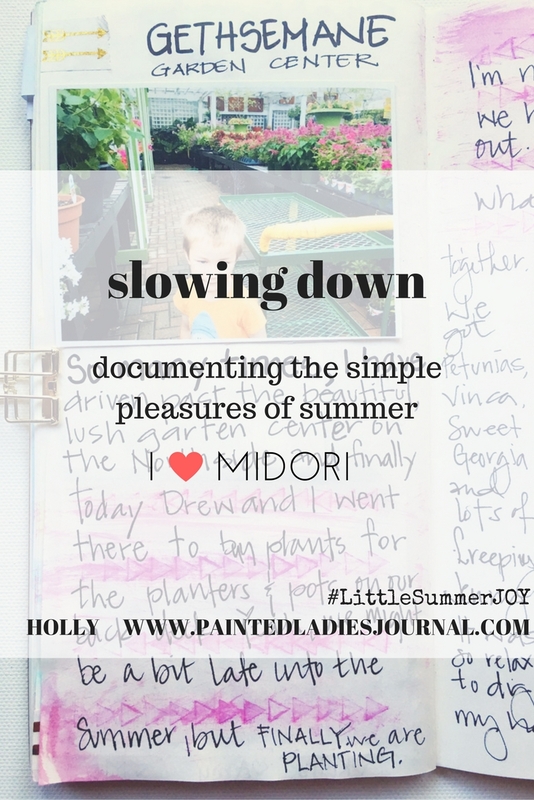 I have been catching up on entries in my #LittleSummerJOY midori project this week. I decided to divide the book up into six sections and fill it in when the mood strikes. There are six lessons (the last one just came out here). I allowed for 3 to 4 two-page spreads per session. 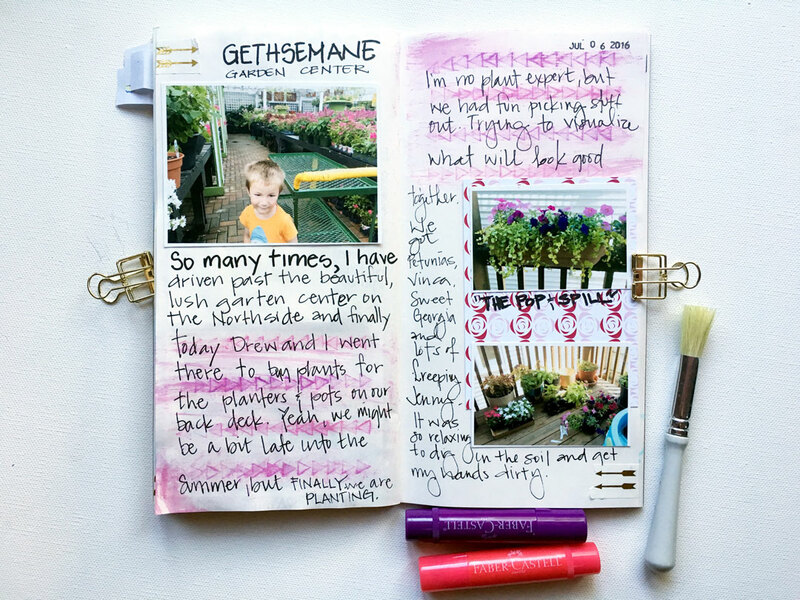 Any left-over pages will go to #SummerBucketList items! 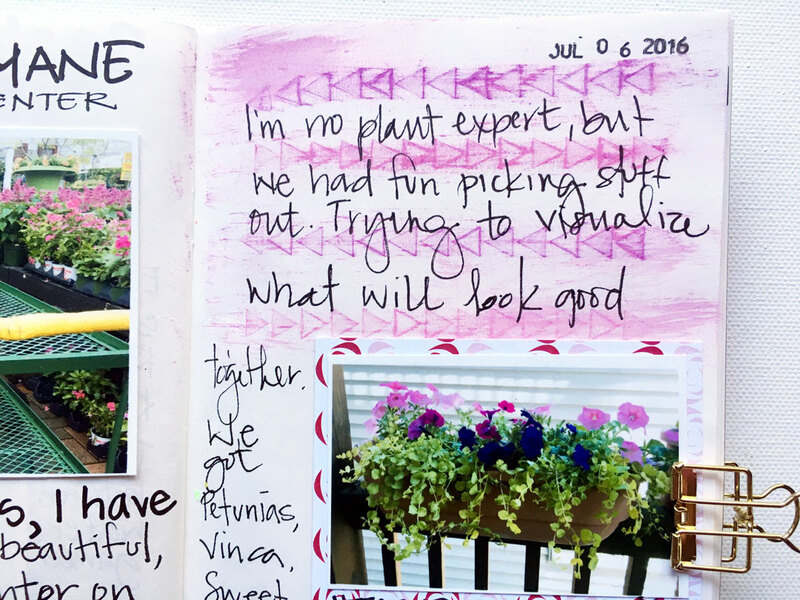 This spread goes with Lesson 5, (contributor is the awesome Bonita Rose) which was all about "Slowing Down" and enjoying the simple things of summer. 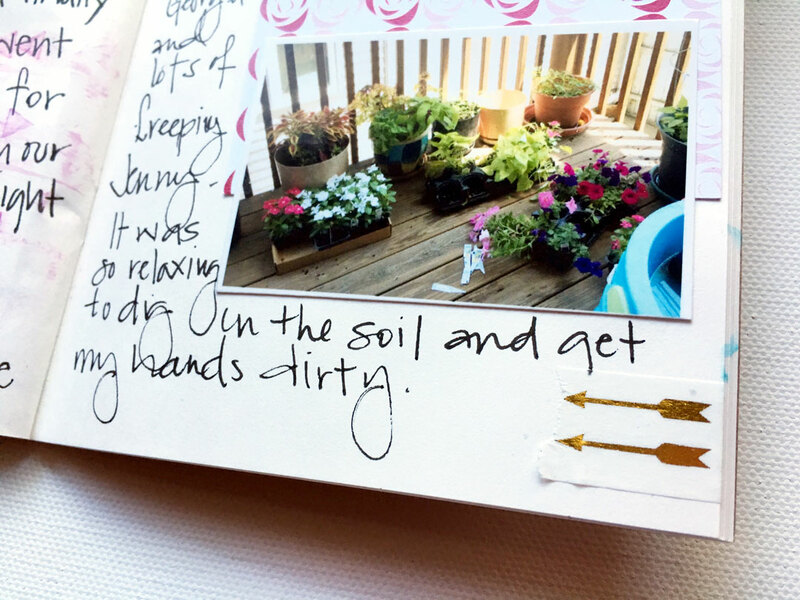 The first thing that popped into my head was my gardening adventure this summer. Now, when I say gardening, I mean my planters and pots on my small back deck. See those gelatos?! I just got a few to try out and love them. I used a few items from the July Take 10 Kits from Sara Mitchell Co. (some glam bags left here and pocket kits without stamp here) This morning, my youngest and I were alone (rare in the summer) so we headed up north to a wonderful garden center that I always ogle (safely) when driving by. We were surrounded by colorful lush options. 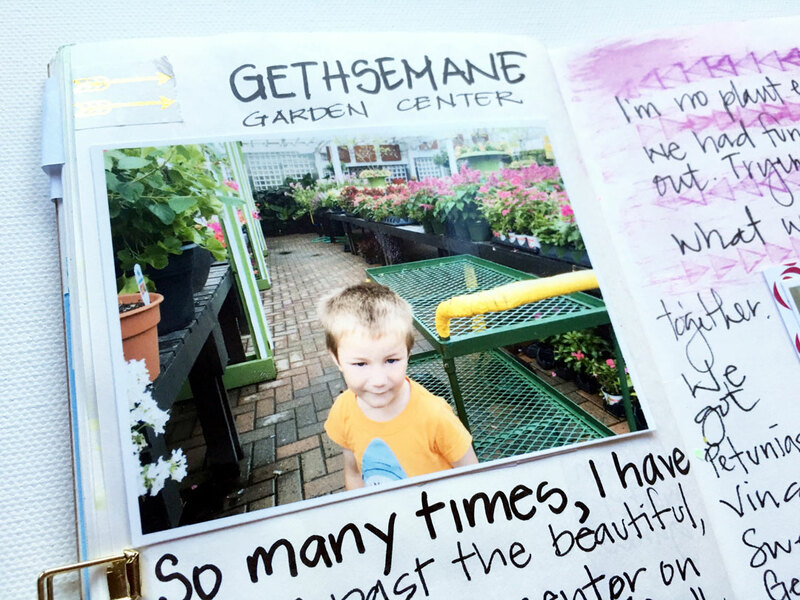 I used a stamp that was included in the July Take 10 Pocket Kit and my pink & purple gelatos to creat a pattern at the top of the right page and bottom of the left page. FUN! I just stamped it slightly wet and then brushed over it with a slightly wet paintbrush, then smudged some with my finger. I used the rose pattern card from the July Take 10 Pocket Kit as a backdrop for the smaller photos and the gold foil arrow washi to accent both pages. 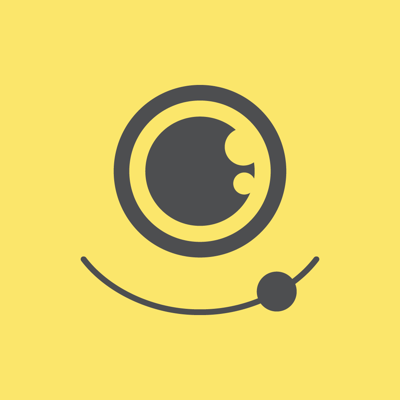 Below are some affiliate links to items I am using for this project. Clicking through and purchasing sends a few cents my way, and doesn't cost the purchasers any extra. Thanks!